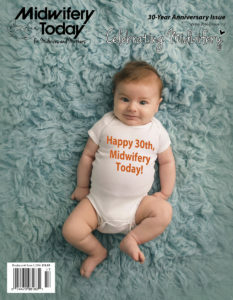 We are pleased to be able to celebrate Midwifery Today’s 30-year anniversary with our readers for the Spring 2016 issue. To celebrate midwifery, we chose thirteen of our favorite articles from thirteen of our most loyal and devoted writers and reprinted them in this anniversary edition. You will be able to read from the best of the best, including Ina May Gaskin, Penny Simkin, Michel Odent, Robin Lim, Sister MorningStar, Gail Tully, Elizabeth Davis and others, as we continue to provide you with only the best and evidence-based information surrounding childbirth. This issue also features some great new articles, including one about institutional biases in birth research—a must read! As an additional way to celebrate our readers and writers, we are pleased to announce that this issue will have our first ever color cover. Here’s to 30 more years! Cover photo by Natasha Hance (birthunscripted.com). Natasha is a mother of five who has a deep passion for birth photography. She photographs births in the Dallas/Ft. Worth area of Texas as NHance Photography and Birth Unscripted. She also teaches birth photography workshops with Birth Stories . 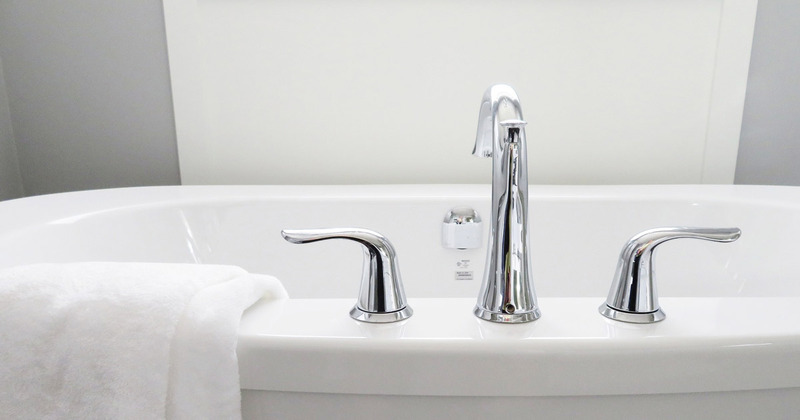 Pictured: Roman was born in a beautiful waterbirth at a birth center with midwives. His big sister’s birth became a popular YouTube video, “Birth of Sloane.” This video has been viewed almost 7 million times and has inspired many women to consider midwifery care and waterbirth. We’ve also all heard expressions of exhaustion and relief from the mother and seen a temporary lack of interest in her baby. The exclamations might sound more like these: “It’s over! I can’t believe it’s over!” “Can I just lie here for a minute?” “I can’t hold the baby right now. You take it.” ”Please just leave me alone right now.” “I’m so glad it’s over.” “We’re never doing this again!” Sometimes it takes a while before the mother can turn her attention from the intensity of the birth to her baby. The fourth stage of labor, the time after the baby has been born (second stage) and after the placenta is safely delivered (third stage) has been defined medically as one to two hours postpartum. Culturally, I define it as the first 42 days following childbirth. I believe the fourth stage never really ends, as a postpartum woman is forever transformed by the significant rite of passage of childbirth. Midwifery Today’s graphic designer shares her thoughts on the importance of birth photography to the normalization of gentle birth around the world. A female doctor with a shaven head and beautiful eyes stood between Lily’s legs, studying the monitor. We all heard the slow thudding. In an even tone, a Mary Poppins-like midwife said, “Get peds.” A pediatrician and a gaggle of pediatric residents entered the room as if they’d been standing at the door waiting for an invitation. The doctor picked up the vacuum and quietly announced that the time had come to use extra force. “The baby is so close,” she told us as she readied her equipment. 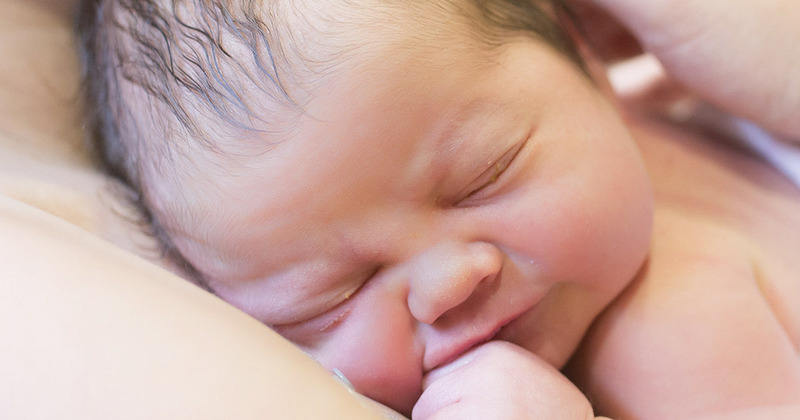 A thought-provoking article about the biases found in birth research. This past year, two labors I attended benefited (meaning we avoided a cesarean each time) from a technique shared over a hundred years ago by Dr. Walcher. The first of these mothers labored for her third homebirth after four previous cesareans. She’d had a hard time getting her first baby into her pelvis (lying in bed) and was given a c-section at 3 cm and then she had three more cesareans in following years. Umm hmm. So, I was honored to help at her first homebirth, her fifth child. He also took a long time to engage. Beginning posterior, a variety of positions eventually got him through. Her second homebirth occurred after a long latent phase but before her midwife arrived.